Green Brigades for Planting, Protection, Maintenance of saplings planted during THH Programme: Telanganaku Haritha Haram Programme -The 3rd phase of TKHH Programme had been launched by on 12th July, 2017. Green Brigades will assist in Planting and Protection and Maintenance of the saplings planted under the Programme in the Institution premises. Each Green Brigade can have students ranging from11 to 51 depending on the students strength of the Institution, including a Team Leader. The Head Masters of the Schools will constitute the Green Brigades and inform the details to the District Collector concerned through the MEOs and DEOs. 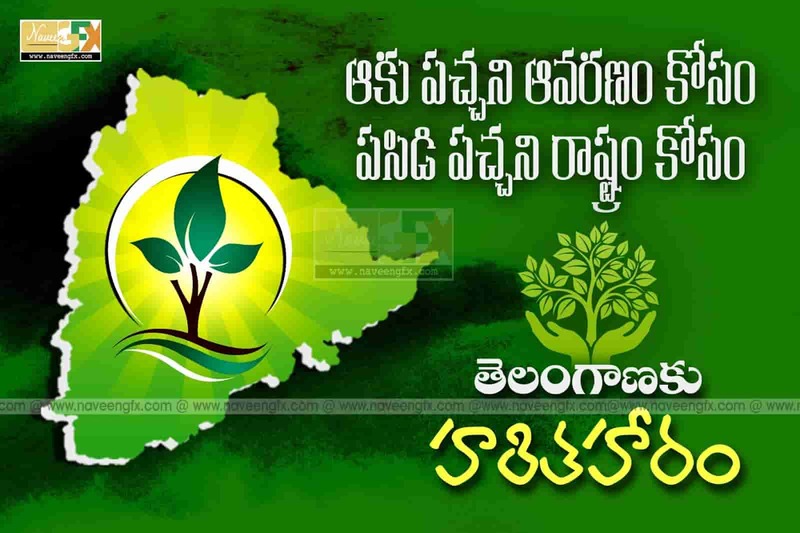 This will be purely a voluntary service to the cause of greening the State under Telanganaku Haritha Haaram Programme. Sub: Telanganaku Haritha Haram Programme - Constitution of Green Brigades for Planting and Protection and Maintenance of saplings planted during the Programme - Reg. 1. G.O.Rt. No. 123, Environment, Forests, Science& Technology (FOR)department, dt. 24-06-2015. 2. My D.0.letter No. 4754/SE. Genl/ Al/2017, dt: 10.07.2017, addressed to all the Collectors in the State with copy to C&DSE,CCE,CTE, CIE, T.S, Hyd, and Secretary, TSCHE. As you are aware, Telanganaku Haritha Haram Programme, one of the Flagship Programmes of the Government, is aiming at increasing the green cover in the State to 33% in tune with the National Forest Policy,1988. The 3rd phase of Telanganaku Haritha Haram Programme has been launched by the Hon'ble Chief Minister on 12th July, 2017. At this juncture there is a need to ensure deeper engagement of the students to instill in them a sense of responsiveness and responsibility towards the issues of environment protection, which will stay with them throughout their lifetime. Such an endeavor will not only help in mitigating the adverse impacts of climate change but also provide a safe and secure environment for the future generations, while raising a new generation of youth who are environmentally sensitive. Therefore, it is desirable to constitute Green Brigades at School level to ensure wholehearted participation of the Students and Teachers in the Programme. In the reference 1st cited, the Headmaster of Primary School/ High School is already a member of the Gram Panchayat Haritha Rakshana Committee. In compliance of the Government orders issued in the reference 1st cited, Green Brigades will assist in Planting and Protection and Maintenance of the saplings planted under the Programme in the Institution premises. Each Green Brigade can have students ranging from11 to 51 depending on the students strength of the Institution, including a Team Leader. The Head Masters of the Schools will constitute the Green Brigades and inform the details to the District Collector concerned through the MEOs and DEOs. This will be purely a voluntary service to the cause of greening the State under Telanganaku Haritha Haaram Programme. 3. In this connection, where the School premises do not have a compound wall, the District Educational Officers may put up the requirement of planting a hedge as a 'Bio Fence' with suitable hardy species which are not grazed by cattle, goat and sheep by taking appropriate technical guidance from the Forest Department. The District Collectors would be separately addressed to consolidate the requirement of the Educational Institutions Bio Fencing needs in their districts and take action to raise suitable nurseries for hedge plantation to cover 100% hedge fencing so that protection of plantations already done inside the Institutional premises is ensured. The Green Brigades will take action to create the hedge 'Bio-Fence' wherever compound walls are not yet constructed as part of their activities. 4. The Green Brigade may also take up all the activities as listed in the reference 1st cited and these must be documented as a School Project. The Best Institutions in terms of performance of the Green Brigades must be given awards/ recognition during public functions and Guidelines for the same have to be issued separately by the Commissioner & Director of School Education, Telangana, Hyderabad. 5. Therefore, you are requested to take necessary action on the above, at the earliest.